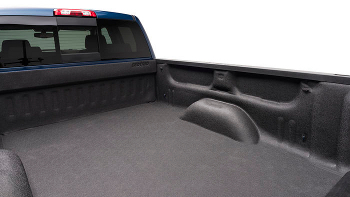 If you are looking for an ultra-tough bed liner that won't damage your truck, isn't permanent and won't lower your resale value, The BedTred Ultra is for you. 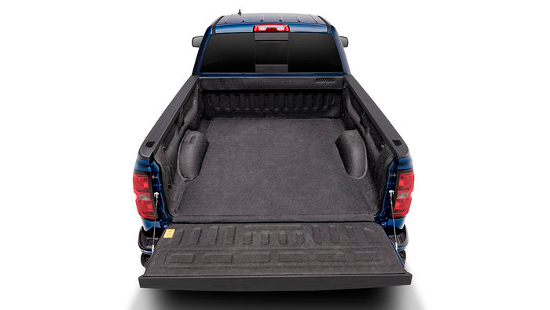 It provides a rugged flat work surface that is tough enough to withstand dents and dings while protecting your most fragile cargo from sliding around your truck bed. The BedTred Ultra system is a 4-piece zipped liner that installs with hook and loop fasteners, without damaging the truck bed. While traditional spray-in liners can quickly fade and chalk, the BedTred material is fade and UV resistant. The 3/4" thick foam is similar to that used in life jackets and will not absorb water, resisting mold and mildew. Water will simply run off the surface, through the zippered perimeter, out the factory drain holes in the truck bed and will dry in as little as 20 minutes. Durable composite construction-Protects your bed from damage and ensures long product life. This material is UV, chemical, water, and abrasion resistant. This same resilient material is used in industrial roofing and many more applications.